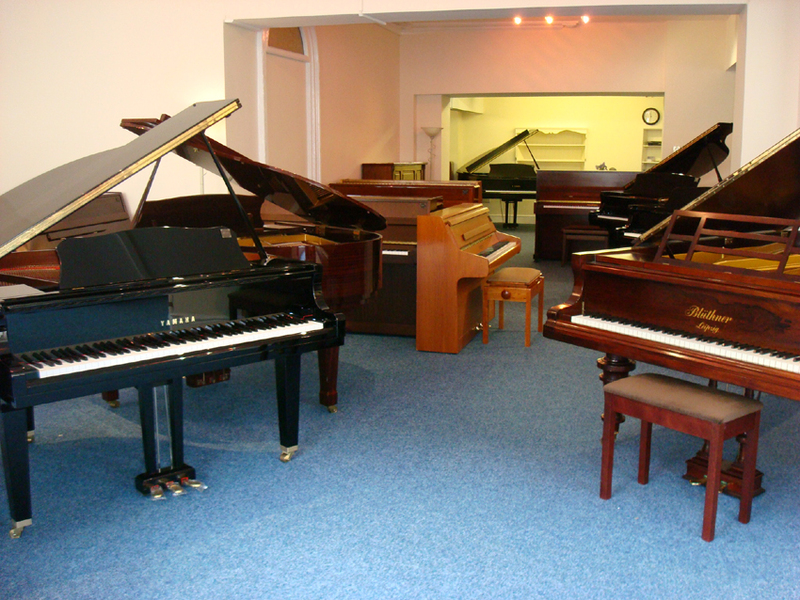 Despite our Piano showroom being located over 350 miles away, we can offer you over 100 new and used pianos to choose from, FREE Ground floor delivery to Scotland, FREE First tuning, FREE Guarantee, FREE Matching piano stool and FREE Money back Upgrade option. 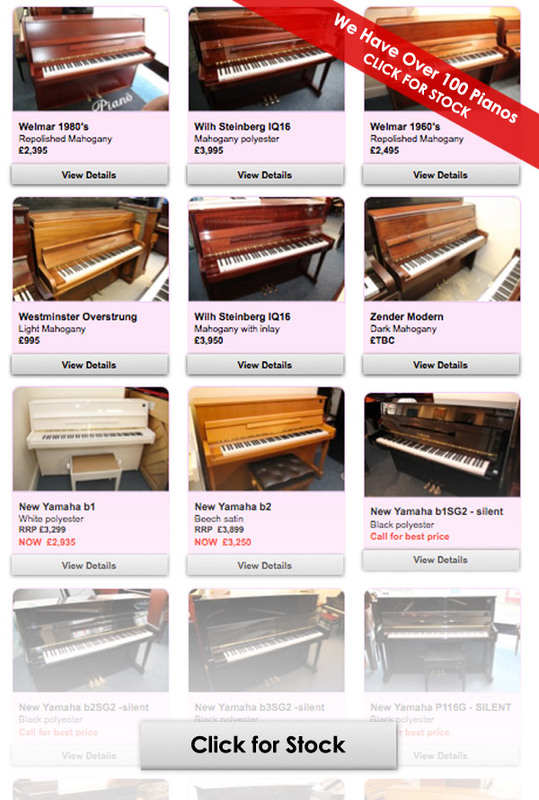 We also offer a bespoke piano purchase service, enabling you to try before you buy! For more information and friendly advice, call us today on 01367 244554. 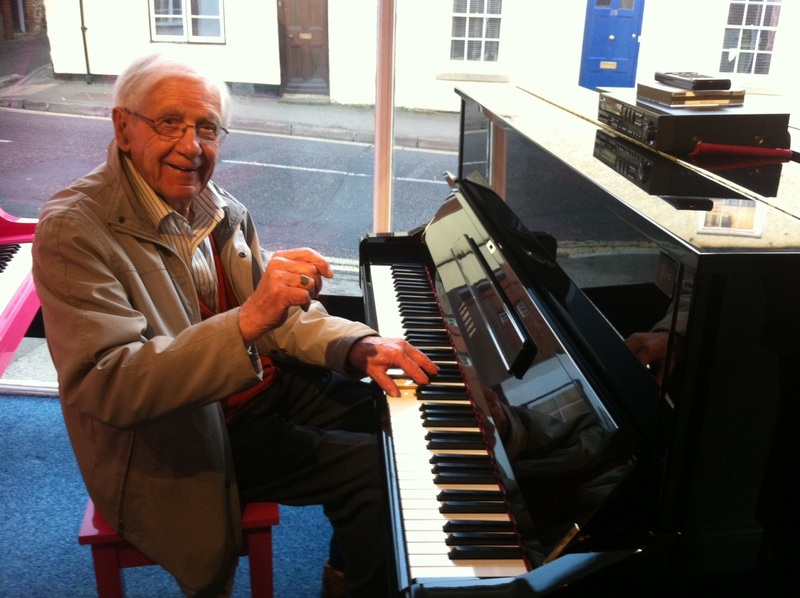 Reg, one of our local residents plays regularly at The Portwell Angel in Faringdon. He lives nearby and often pops in to give us a rendition of his Ragtime and Blues repertoire. This week we have had three Bluthner Grands arrive in stock. 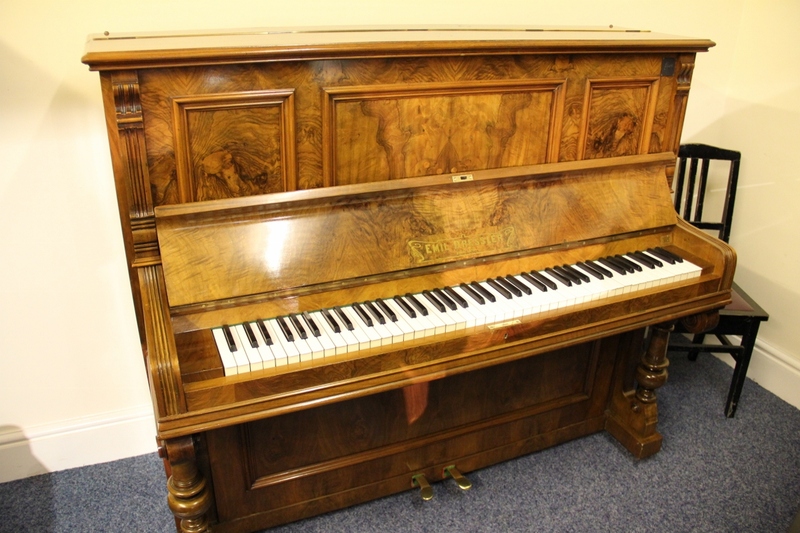 The piano featured is a model 7 Bluthner Grand dating back to 1904. 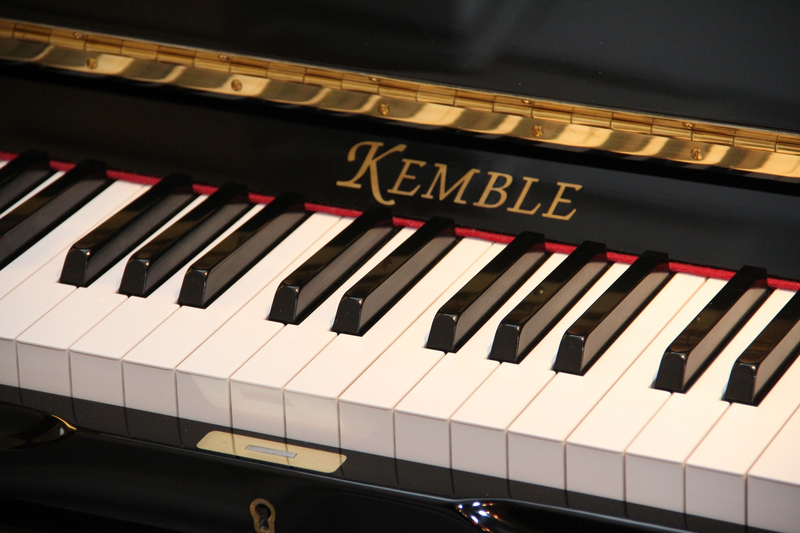 Measuring 6’3″, the piano has a beautiful rich, mellow tone typical to Bluthner grands. 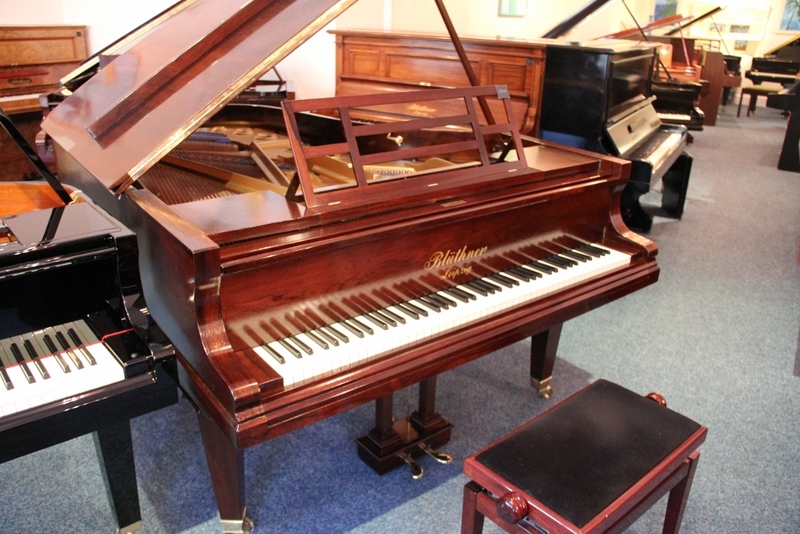 The model 7’s were only produced in Rosewood and ebony, and this particular Bluthner model 7 has been recently french polished to a high standard. A real beauty. 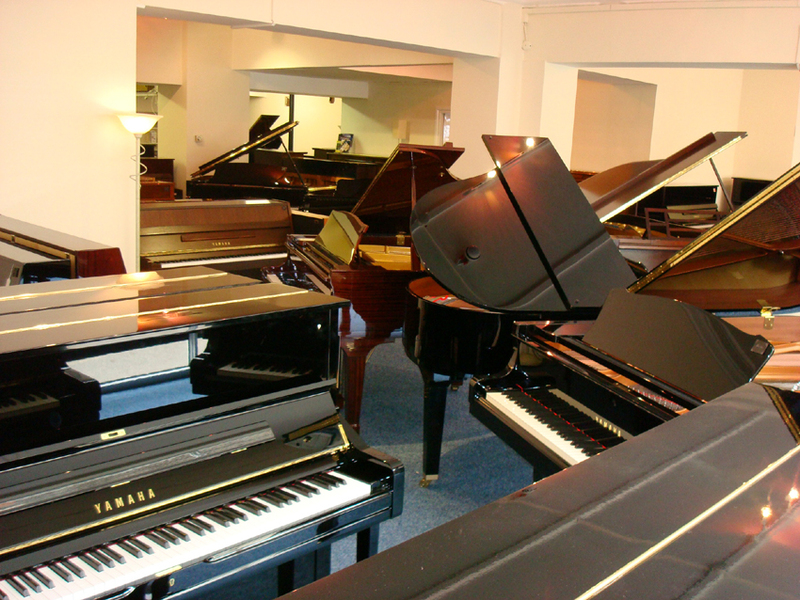 This week we delivered a second hand Yamaha C3 6ft Grand piano to London through a second floor window. The operation was flawless and the piano is now safely residing in its new home. 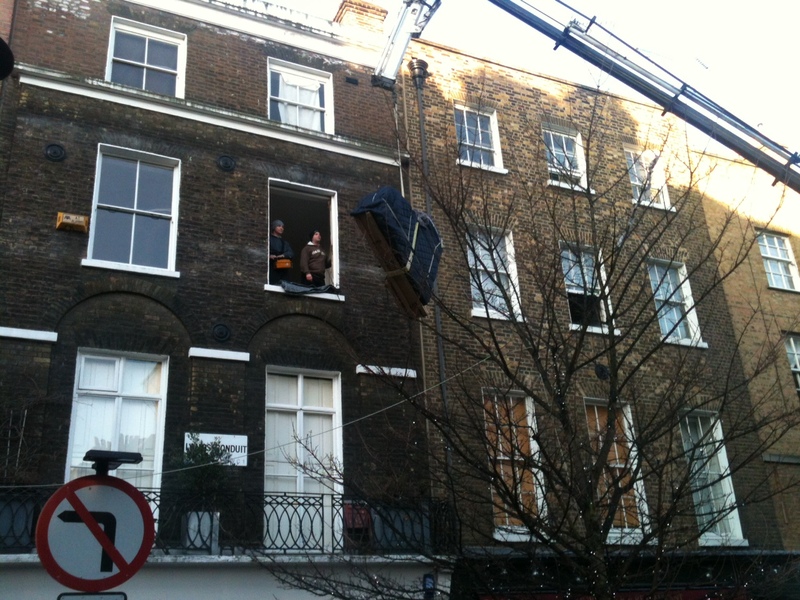 Passers by watched in amazement as the 400kgs of piano travelled through the air!